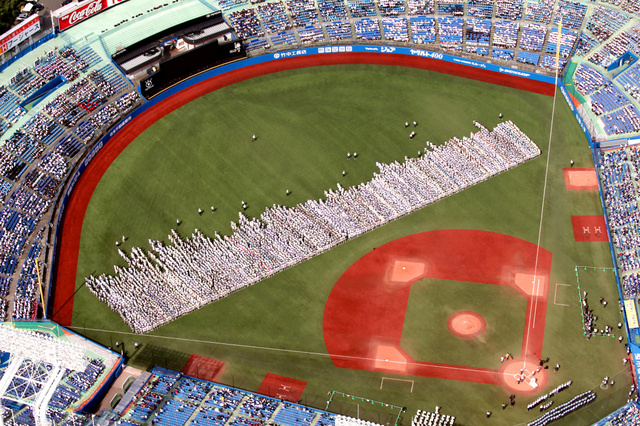 Tokyo – 265 teams from 273 high schools in Tokyo took part in the opening ceremony at Meiji Jingu Stadium on Saturday, July 2, 2016. The winners of East Tokyo and West Tokyo will join the 98th National High School Baseball Championship by 49 regional champions at Hanshin Koshien Stadium in Nishinomiya from August 15 for 15 days. Regional qualification tournament is in progress throughout Japan to finish by the end of July.